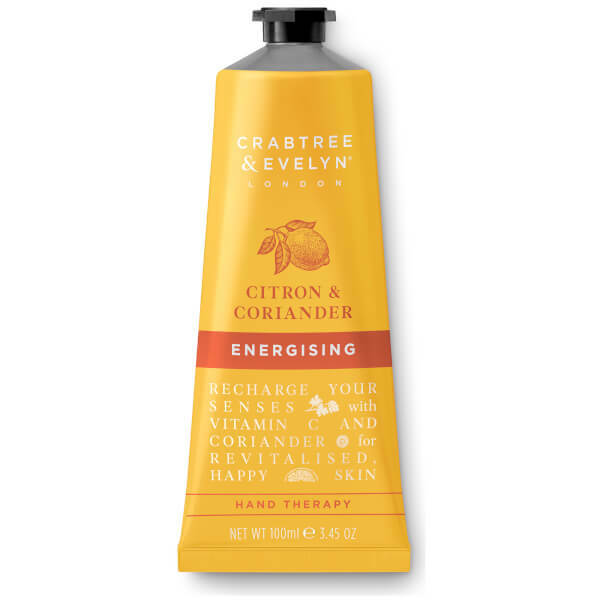 The Crabtree & Evelyn Citron Hand Therapy is an award-winning treatment developed to condition, nourish and pamper hard-working hands, alleviating dry patches and roughness. Formulated upon a base of deeply moisturising Shea Butter, the velvet-smooth formula melts into skin with a host of ceramides and emollients to soothe and protect, whilst Hyaluronic Acid helps to seal in hydration for long-lasting results. A sunshine blend of Citron and Lemon Leaf extracts mingle with a sumptuously sweet swirl of Honey and a hint of peppery Coriander to create an uplifting, invigorating scent that lingers. 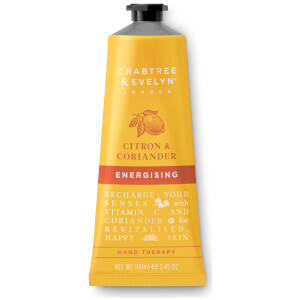 Hands are left feeling soft and supple with a revitalising aroma.